Warning – Look away if you are squeamish! But this did happen. 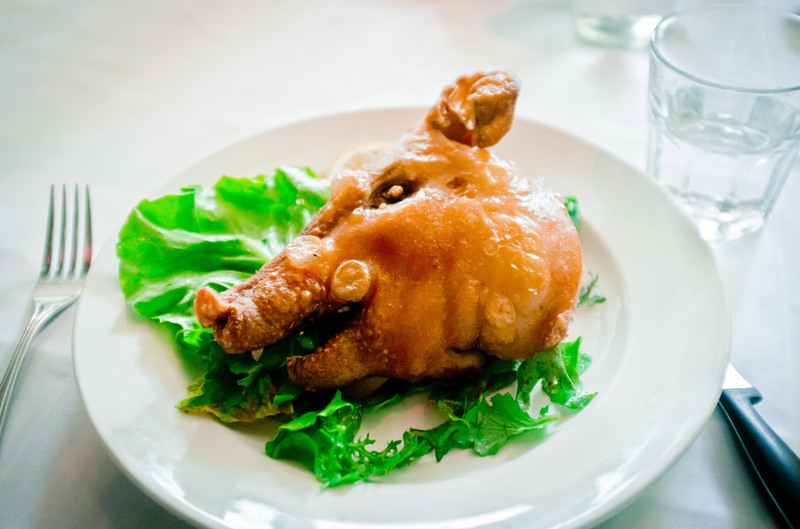 Yes, I ordered the testa di Maialino at a client lunch at Maialino on Friday. And no, I did not expect the below to appear but I was up for trying anything, right? Luckily I was not the only person who ordered this at the table. We both dug in with our game faces on and found some pretty delicious tender pieces of pork and crispy chicarron.